I made a blog post earlier on about bingeable book series, and since I love TV so much I decided to make a bingeable TV series post as well. These are TV series that have finished or are quite a few seasons in, that are very bingeable and addictive. A lot of these shows are pretty popular, but I threw a few that I don’t hear about that often in as well so I hope you enjoy! I obviously had to start with my favourite TV show of all time because it is amazing, and one of the most bingeable series out there. The Vampire Diaries just wrapped up its final season (season 8) last fall which was really sad but I suppose all good things must come to an end. This series follows a girl named Elena Gilbert who after the death of her parents, meets a mysterious boy named Stefan Salvatore who saves her from the sadness she felt about her parents. With Stefan in her life, secrets unravel and truths rise up not only about Stefan, but about Elena that she never knew. If you haven’t watched this series just go watch it because even though it has its cheesy, cliche moments (quite often too) it is fantastic! Honestly, I have no idea if they are done filming this TV show because this past season has NOT been a favourite of mine at all. However, the first five seasons are really enjoyable in my opinion, and definitely deserve to be watched. I love watching this TV show during the winter because it is dark and cold outside, which perfectly reflects the mood of Once Upon a Time. Once Upon a Time follows a cast of characters who do not remember that they are fairy tale characters placed in the real world by the evil queen, and it is up to the queen’s son, Henry to find the savior and bring her back to Storybrook to break the curse. If you like fairy tales you will adore this TV show because I know I did! Castle is a murder mystery TV show that follows famous writer, Richard Castle as he works with the New York Police Department to solve homicides in research for his new books. I absolutely adore this TV series because while it is calculating and intriguing with its murders and situations, it is also funny and witty due to the amazing characters. Castle recently wrapped up its final season last year (season 8) and I was so devastated because the show is so great and deserved a little more air time! This is one show that I have been watching since day one and it is an emotional roller coaster let me tell you. The 100 follows a group of teenaged prisoners who had been sent down to post-apocalyptic earth hundreds of years after a nuclear war to see if the ground is survivable. Because the ground may not be survivable, they had lived in space for hundreds of years but it is time they return to earth, but they learn to question whether or not the earth is still survivable and if they are the only ones down there?.You will want to watch this show non stop because it leaves you on the edge of your seat wanting more, which is the best reaction to a TV show you can get! You cannot help but binge Grey’s Anatomy because it is so dramatic and addicting that it takes over your life for a few weeks. Grey’s Anatomy follows a group of interns at the hospital, Seattle Grace, as they try to become doctors and figure out what they want in life. That is my basic description of it but there is so much more that goes down and it is just amazing. Go watch it!!! I found this TV show a few years ago and flew through it because it was really good. 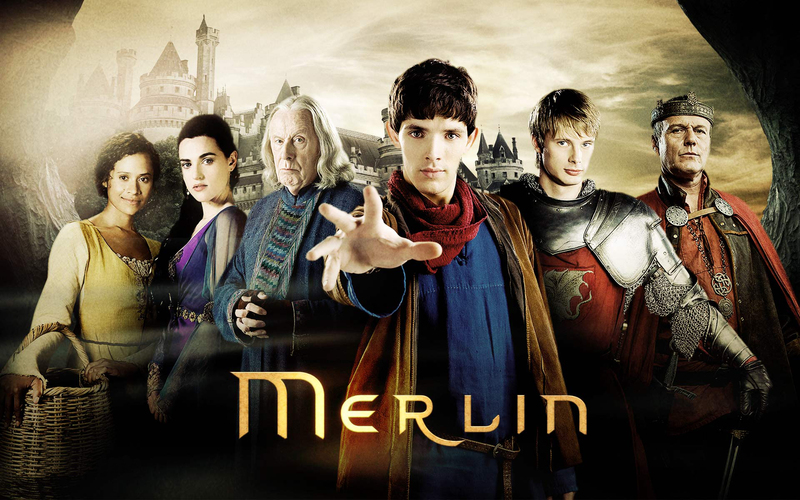 It takes place during the age when King Arthur was alive, and follows our main characters Merlin, who is struggling to understand the powers he has, and Arthur, a young man who is also struggling to understand his destiny. There is lots of mystic and magic which I really enjoyed, and now thinking about this TV show I really feel like rewatching it! Those are a few bingeable TV shows and I hope you enjoyed. Don’t forget to check out my last blog post: August 2017 Wrap Up! Never Will I Ever Book Tag! I was tagged by Ann at https://annthebookmaster.wordpress.com/ so thank you, and definitely check out her post as well as her blog! For this, I definitely have to go with Chaol and Celaena from the Throne of Glass series by Sarah J Maas. I did not agree with that ship at all because one, I am a DorianxCalaena shipper and also I just didn’t think they went that well together! Chaol is too uptight for Calaena which is why I haven’t and never will ship this OTP. This was difficult because there are a lot of endings I will never forget, whether it is in a good way or a bad way. I will say that at the moment, the ending for Lady Midnight by Cassandra Clare had me shook, and lets be honest, it still does. I won’t spoil anything for anyone who hasn’t read it, but if you have, you know what I mean. Those last few lines though! Okay, I am kind of bending the rules a bit because I am choosing a two characters from The Vampire Diaries TV show, but it is also book so at the same time its all okay. So if you haven’t completed all the seasons of The Vampire Diaries, than don’t keep reading!!! So I have two for this answer at that is Jeremy’s death in season six, I think, because it was so heartbreaking to watch Elena lose not only her parents, but her brother as well. I know he comes back and all, like everyone seems to, but still, it broke me! Another that actually stayed dead, is Stefan Salvatore in that final episode…I cried so hard and will never stop mourning him. The Blood of Olympus by Rick Riordan! I chose this because even though it wasn’t all I was expecting, I cried because the series that I had been reading for years and years had ended and my favourite characters would no longer be in the spotlight anymore. I knew I would see Percy and Annabeth and the others in other Rick Riordan books, but this was the end of their adventures and the thought just makes me cry an ocean of tears! I was going to say The Vampire Diaries by LJ Smith, but I decided to change it up a bit and so I went with The 100 by Kass Morgan. I absolutely love the TV show, especially this current season, but I do not see myself ever picking up the book series just because I have heard from many reliable sources, that it is nowhere near as fantastic as the TV series. I don’t like saying never though, so possibly one day I will give it a try, but at this point, I don’t see myself reading it any time soon. I have to go with two different series for this, just because I think they are both amazing. The first is, of course, The Mortal Instruments series by Cassandra Clare because not only does it hold a lot of sentimental value to me, but I also just love the characters, the story and the world. The second series is the Ruby Red trilogy by Kerstin Gier which is just such an interesting and fun trilogy on time travel that I recommend to as many people as possible! My Harry Potter series by JK Rowling because not only is it the beautiful UK edition, but it is also all paperback meaning it bends easily. I want everyone to read Harry Potter but they can just go to the library and pick up the series instead of ruining my gorgeous book covers! That is all for the Never Will I Ever Book Tag and thanks again, Ann, for tagging me to do this fun tag! Don’t forget to check out my last blog post: May 2017 Talk! This post isn’t really about new TV shows coming out in the fall, but just shows to watch during the fall! These shows either give off a really cozy feeling or a spooky and more creepier vibe that is perfect for October! The Vampire Diaries – Okay, a lot of people think the Vampire Diaries is cheesy and while it is a tiny bit, it actually is a great TV show. I think its a good TV show to watch during the fall time, especially October because it has vampires, werewolves and other supernatural creatures that makes it eerie. If you like Twilight or Teen Wolf and you haven’t checked this show out yet you need to! Gilmore Girls – Gilmore Girls is a feel good TV show that just makes you feel all cozy and comfy. Obviously it has a few Halloween episodes but just the whole show gives me a fall vibe. Even if it’s not fall you should still watch this TV show because it is amazing and very, very addicting! Once Upon a Time – This show is definitely on the darker side of things. It is filled with fairy tales that intertwine and has characters that are so complex and just plain awesome! While watching this, you find yourself falling for the darker characters more often with the “good” characters. Stranger Things – I actually just completed the first season and oh my god. This show is so creepy and eerie that I had to watch during the daytime, but I couldn’t stop watching it! People go missing, creatures come out of walls, and there is a fantastic cast of very talented young actors that really make the show as amazing as it is.